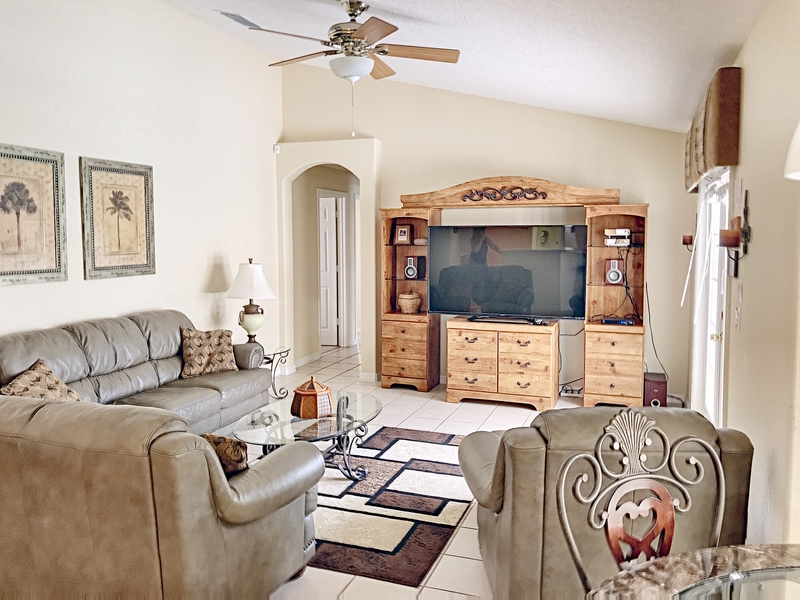 Villa Tylista is located in the quaint Orange Tree Resort Community on Highway 27 in Clermont. 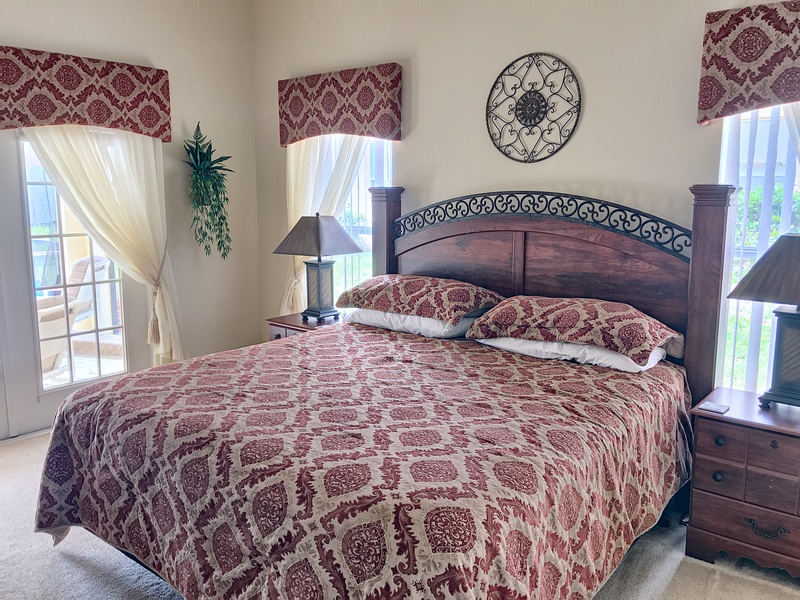 Just minutes from popular restaurants and all of Central Florida's major attractions, this home is the perfect setting for your next family vacation. 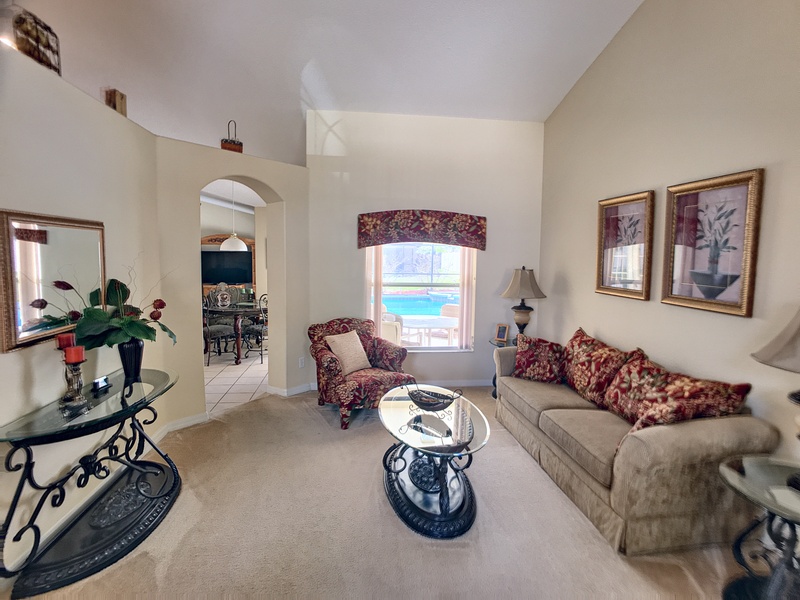 This home offers two lounge areas for the family to convene and relax after a day at the parks. The family room offers a brand new 65" flat screen TV for family movie night or to catch the weather before heading out for the day. 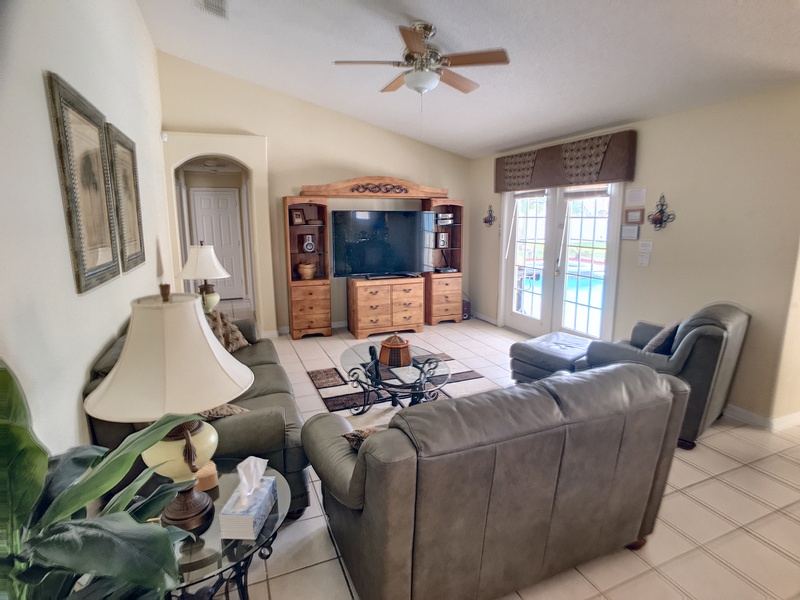 Both the family room and separate sitting area have large French doors opening out onto the pool deck not only providing lots of sunlight, but also offer great views of your Florida escape! The fully equipped kitchen has all the necessities you might need should you decide to do some cooking on your vacation. The kitchen offers bar seating as well as a breakfast nook with seating for 4. The breakfast nook also offers French doors with pool deck views. If you would like a more formal meal, the dining room has seating for 6 people. 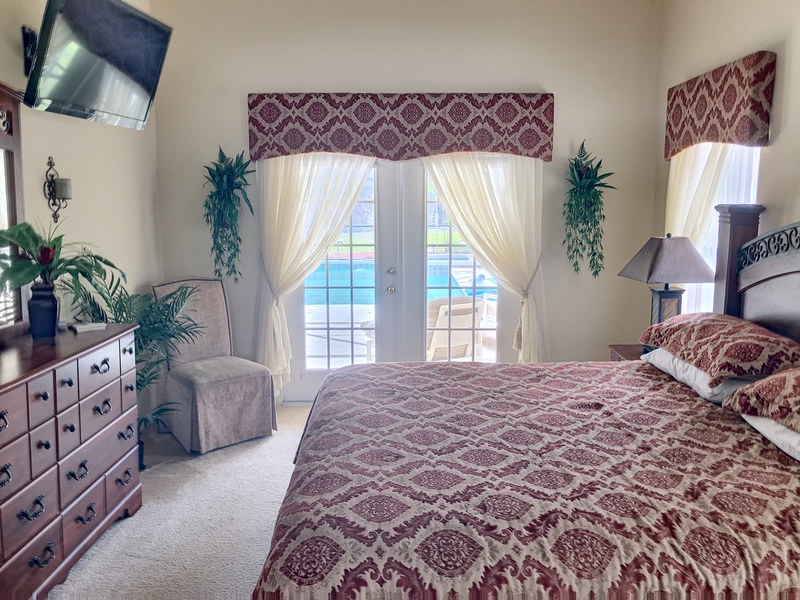 The master suite has a king size bed, flat screen TV and large French doors with direct access to the pool area. Guests can enjoy the large bathroom with a walk-in shower, garden tub and separate sinks. 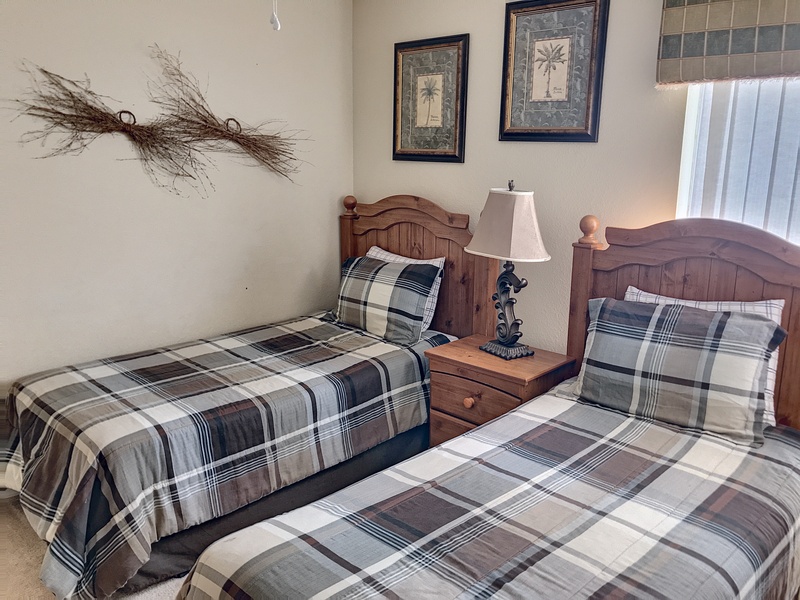 There is one other room with a king size bed, two rooms with queen beds and two rooms with two twin beds in each room. 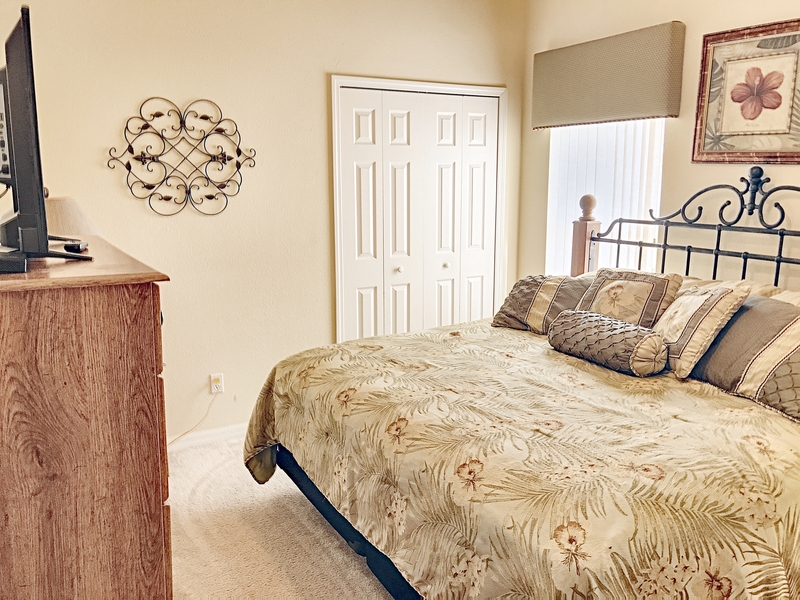 Every bedroom in the home offers a closet and a TV for guest enjoyment. The large pool and spa area has plenty of room to swim or catch some sun on one of the sun loungers. There is also a patio table and chairs under the covered lanai for outdoor eating. The garage has been converted to a game room with a pool table, air hockey table and foosball for additional fun at the house. 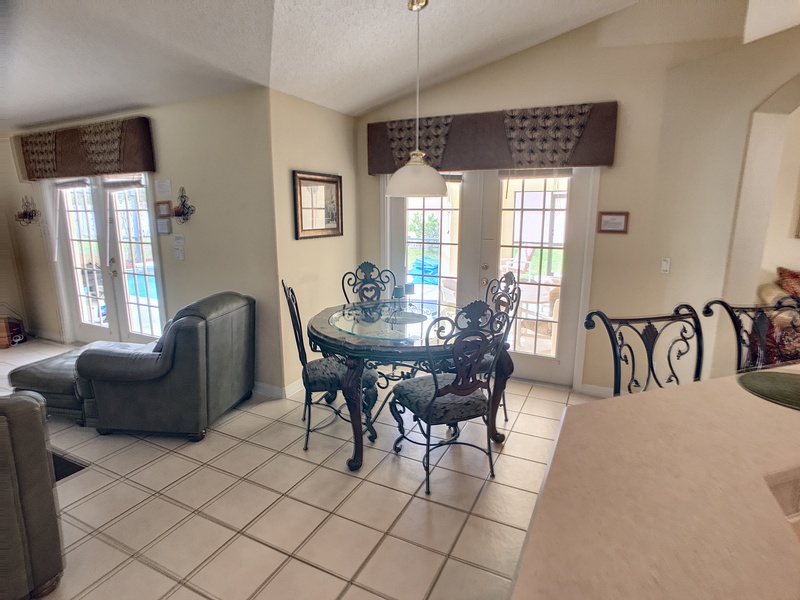 The home also offers complimentary Wi-Fi access to stay connected to family and friends while you are enjoying your Disney vacation! Our home made our DisneyWorld trip truly Magical. The best review I can give, is it couldn't have been any better Will definitely be using this company for all our vacations to Florida. Beds were so comfy, one of our friends even checked to see the brand so she could buy one when she got home. The house was great for our party of 7 people...more people could join us! The house itself is perect and the kids loved the pool. Great location to access all the Disney parks and Universal... you can easily get to Disney witout traffic in a fast time. We will go again and I highly recommend this place to anybody that wants to enjoy Orlando. "We had an excellent experience renting this home. The house was clean and nicely decorated. We had three families staying there and had plenty of room. The pool area was great, especially at night, when the colored lights were on- very relaxing! We also enjoyed the game room. The owners were very nice to work with. We would highly recommend this property for rental." "This was the first time my family and I tried a home rental instead of a hotel and we definitely made the right choice. The home did not disappoint. All 12 of us slept comfortably and the children loved the pool and their rooms. 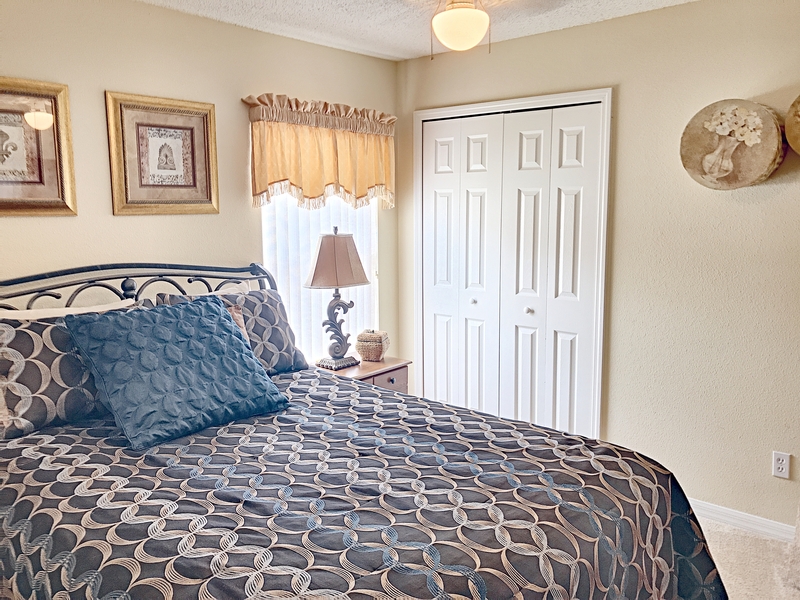 Everything you could possibly need for a comfortable stay is within a 10 minute drive. I will definitely return. Another plus, Colleen (the owner) was so attentive and answered all my questions in a timely manner." 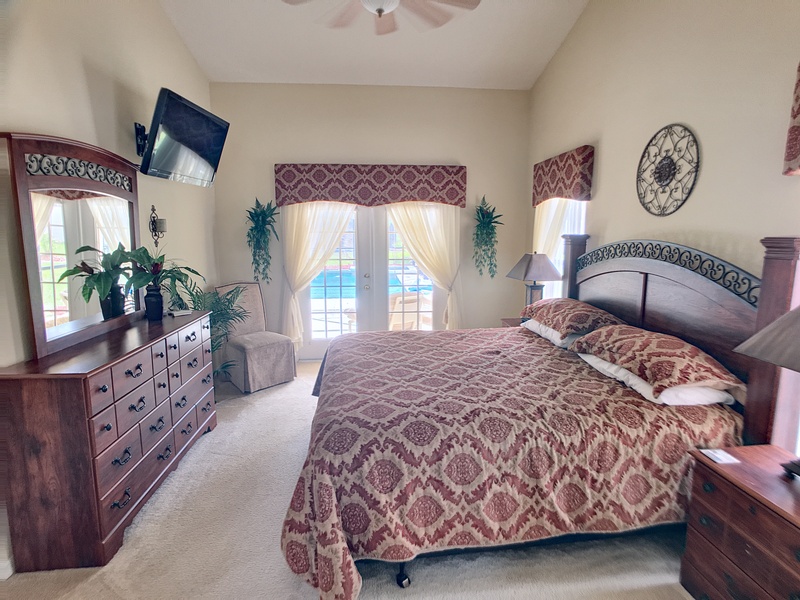 Orange Tree is an executive community of vacation rentals situated just a couple of minutes from shops and restaurants, and less than a 20 minute drive from the main gate at Disney in Kissimmee, Orlando, Florida. 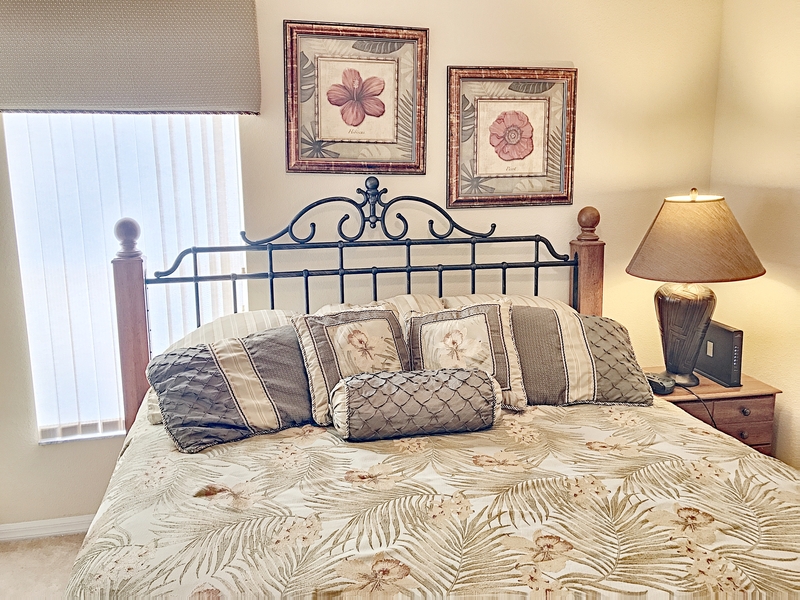 The community offers of 3, 4, and 5 bedroom vacation homes with pools and has lots of community features for your family to enjoy while on vacation. 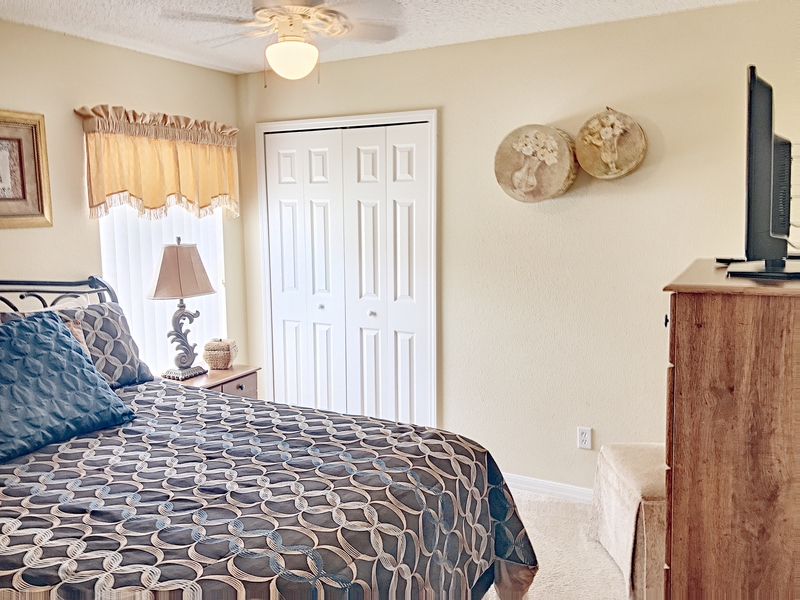 The Orange Tree rental community is located 2 miles North of Hwy 192 West on I-27 - approximately 9 miles from the Disney theme parks. 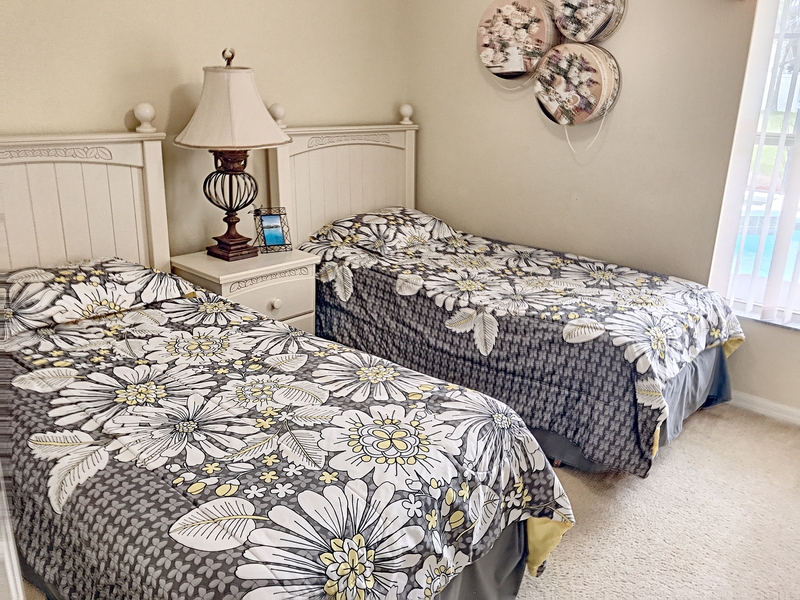 With lots of extra amenities and features it is one of the most popular destinations for families visiting Orlando Florida. Orange Tree has a number of extra attrations designed for families, with a kids "tot-lot", tennis courts, playing field and over 5 acres of open spaces to enjoy.